Here are some of the many projects we have carried out in the office sector. Please do not hesitate to contact us for more information about these projects and how they relate to what you need. 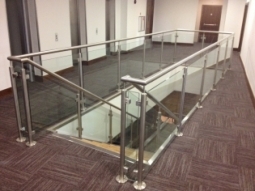 We created a glass and metal balustrade surrounding the entry point at the top of the stairs, a major safety feature. We then created a flight of stairs with a return at the bottom to connect the two floors. These were designed to be sympathetic to the style and interior treatment of the building. 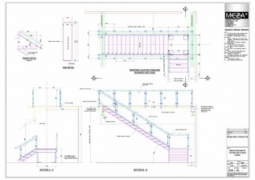 Detailed plans and drawings were supplied to the project architects. We project managed the installation and worked with other on site contractors. 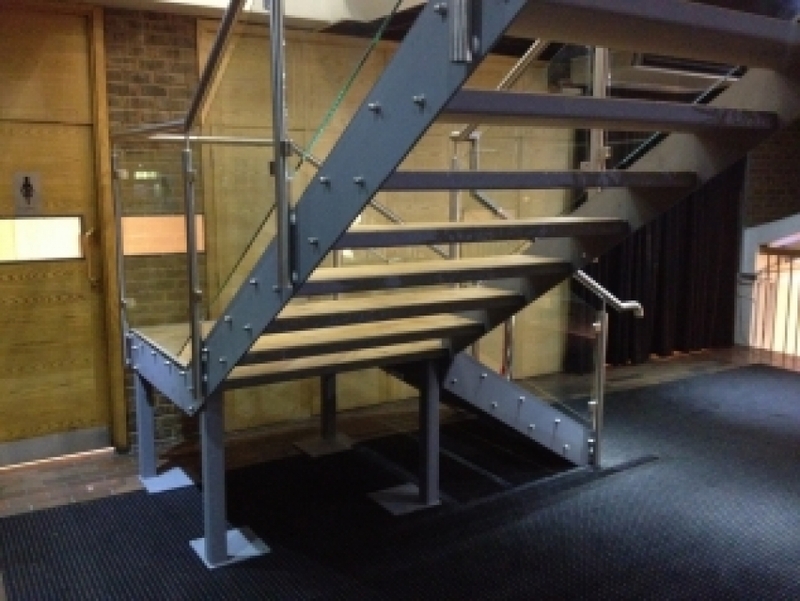 The finished balustrade and stairs. 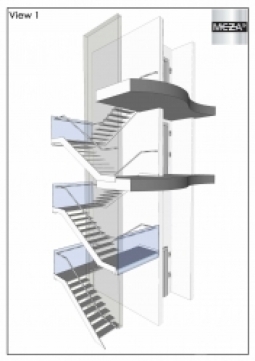 The stairs were constructed off site and designed to be sympathetic to the building and the interior. 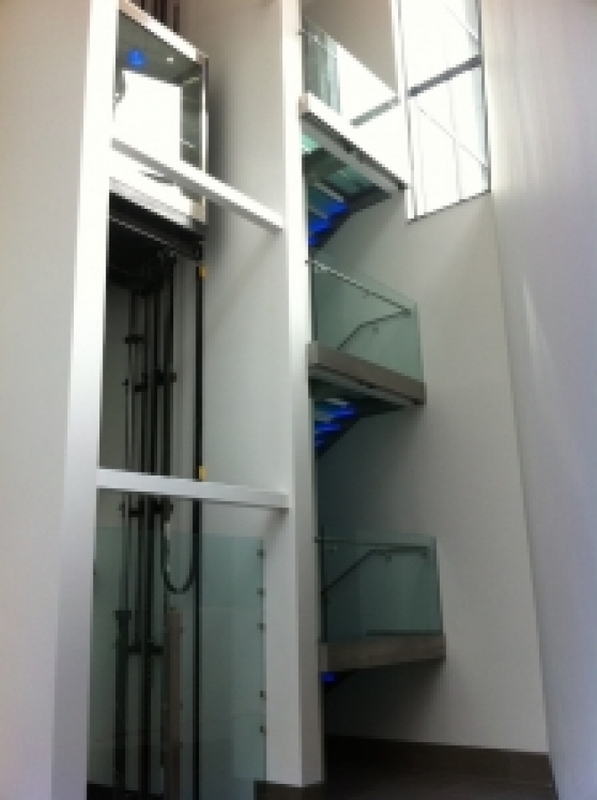 This was a contract to design, manufacture and install a six flight stainless steel staircase with LED lit glass treads and structural glass balustrading. We also needed to incorporate a lift into our structure. A full height wall divided and separated the individaul staircase flights. 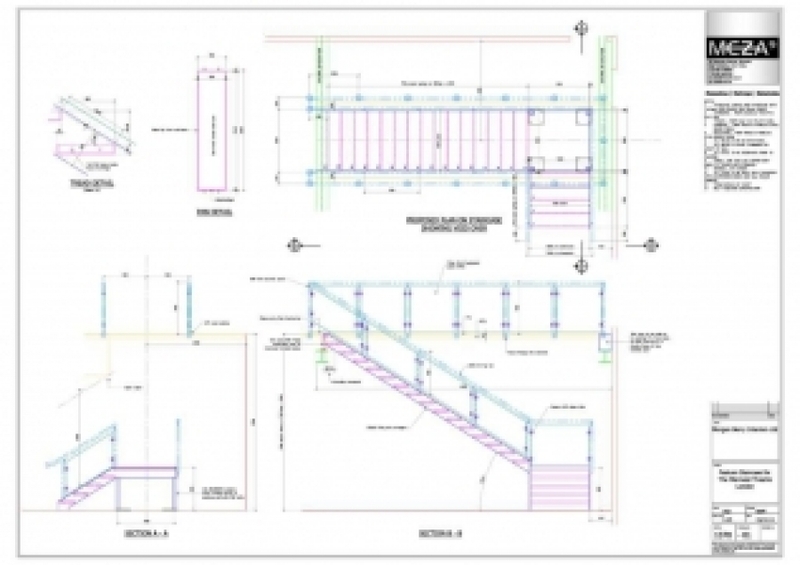 We used 3D CAD design to show how the staircase and balustrading would look. 3d plans showed exactly how the stairs would look. The stairs included balustrades and handrails. Our structure needed to incorporate a lift. 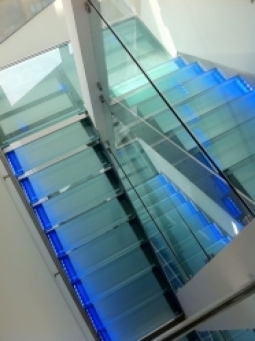 The glass stair treads were illuminated with blue LEDS.